When shopping for toy cars for your... uh... kids, it’s important to be detail-oriented when it comes to the various features and options. Today we made some recommendations to a fellow gearhead parent who wants to get a car for his toddler. Many of us recommended awesome cars that we would probably never be able to afford in real life. I Need To Buy A Cool Ride For My Toddler! What Car Should I Buy? Reader MatthewHokie03 took it to a whole other level. Specialist: How can I help you today? Matt: Hi Wade, I am looking at the Porsche GT3 Power Wheels and I have a couple of questions. Specialist: It is a pleasure to meet you Matt. I would be happy to assist you with looking into your questions on that item. 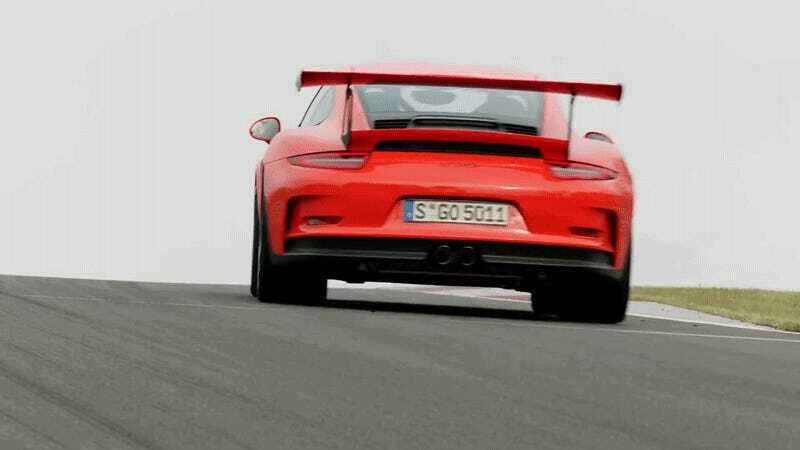 Matt: From the decal on the side and the black aero additions under the the front bumper and along the side skirt it seems like this is probably a GT3 RS, not a regular GT3, can you confirm? Matt: Also, I wasn’t aware that either of these came in Cabriolet. Sorry, one more...are those real carbon rotors? Specialist: Would you mind giving me a moment to take a look for you? When you are buying a Porsche 911, the details matter.